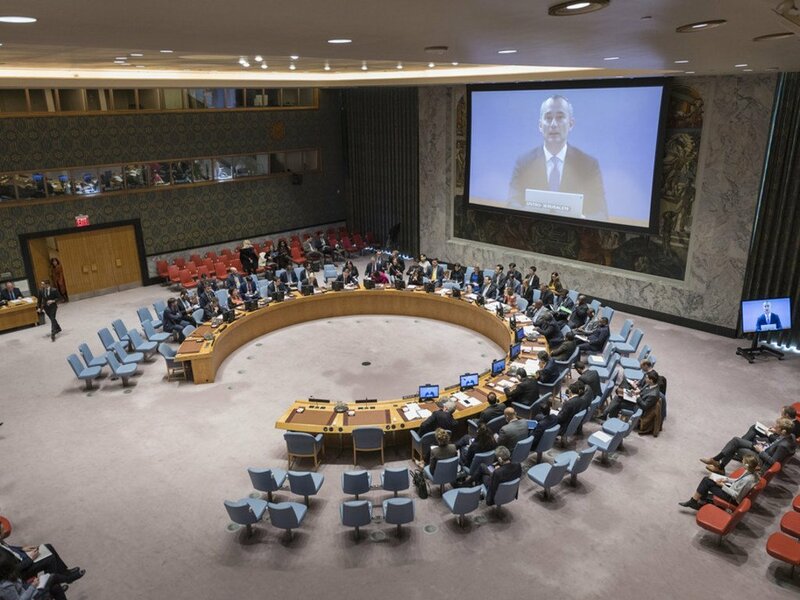 Nickolay Mladenov (on screen), the UN Special Coordinator for the Middle East Peace Process, briefs the Security Council. 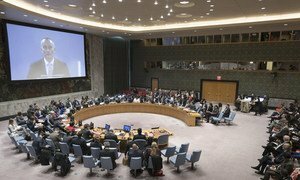 “It is essential that we prevent further collapse of the foundations that must underpin any future agreement,” Nikolay Mladenov, the UN Special Coordinator for the Middle East Peace Process, told the Security Council on Monday. As to the situation in Gaza, Mr. Mladenov underlined the necessity for Palestinian factions to urgently “engage in earnest” with regional efforts to bring the enclave under the full control of the Palestinian Government. He also called upon Israel to “recognize that Gaza is about to explode” and prevent that from happening, by relaxing and ultimately lifting closures to help normalize the lives of people living there. The Special Coordinator’s briefing comes against the backdrop of some of the fiercest fighting since the 2014 Gaza conflict. The fighting, between 11-13 November, was sparked off by an Israel Defense Forces (IDF) operation inside the Gaza Strip – in which a local Hamas al-Qassam Brigades commander, one IDF official, and six other Palestinians were killed. In the hostilities, some 450 rockets and mortars were fired at Israel by militants in Gaza, and in response, Israel carried out airstrikes on 160 militant targets, including a Hamas-affiliated TV station and a hotel. Overall, since his last report to the Security Council, 31 Palestinians – including four children – were killed in Gaza, and a further four Palestinians in the occupied West Bank. One IDF official was killed during the 11 November operation, said Mr. Mladenov. The Special Coordinator also told the 15-member Security Council that in late October, the Palestine Liberation Organization (PLO) Central Council held its 30th session in Ramallah, where it issued a statement, reaffirming its recent decisions to suspend recognition of the State of Israel until the latter recognizes the State of Palestine, end security coordination in all its forms, and disengage economically from Israel. A follow-up committee chaired by President Mahmoud Abbas was established to discuss implementing these decisions, he said. On the humanitarian side, improved flow of donor-supplied fuel has resulted in the greatest supply of electricity since March last year, with immediate impacts: increased water supply, better hospital services, and power for children to study, Mr. Mladenov informed the Security Council. However, alongside the improvements, structural problems affecting Gaza, driven by years of “crippling closures” and Hamas control, remain, he added.